U.S. Bellows, Inc., a subsidiary of PT&P, has recently supplied four 72-inch expansion joints required for the piping system of a power plant being built in Zhuhai, China. 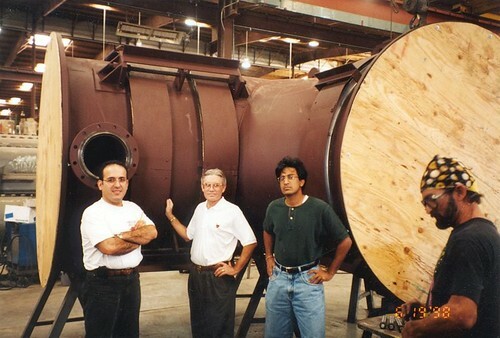 These large expansion joints will carry the exhaust from the plant’s boiler feed pump turbines. This critical piping application often requires pressure-balanced expansion joints, but in this case a unique combination of a universal joint in one plane (left side of photo) and a hinged joint (right side of photo) was used.